SQL Server Management Studio (SSMS ) is a program that many just launch daily (or only when they restart their computer), and they use it to navigate to various SQL Servers to manage them, either through the GUI or through a query. I’ve found that most people are just not aware of all that SSMS can do to help you be more productive. Therefore, I’m going to be posting a SSMS tip or trick daily for the month of January. 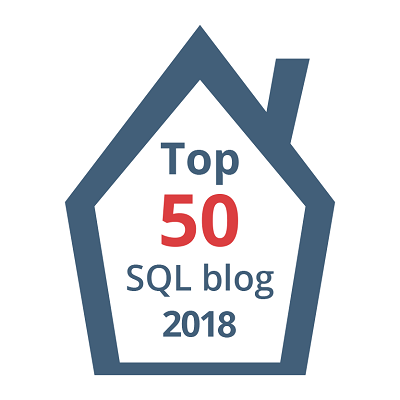 I just couldn’t help myself – there’s so many more things that can be done in SSMS that I’m going to keep on adding to this series. It won’t be daily, but keep an eye out for more tips! Let me know if you would also like to for me to cover tools that integrate with SSMS. During this month-long blog series, I’ll show many tips that SSMS can do that will help you improve your productivity. These tips do not require any third-party tools. I’ll be using this post as a landing page for the series, and I’ll be updating it daily. So, come back every day to get your next SSMS tips fix. To make it even easier, you can use this link to return to this page: bit.ly/MonthOfSSMS. And because I like giving you options, you can also use ssms.waynesheffield.com to jump to this page also. Bonus Tip: Did you know that SSMS is now distributed independently from SQL Server? It is a free download, and can be installed in parallel with other versions of SSMS. It is compatible with SQL Server 2008+. While it doesn’t block access to SQL Server 2000 or 2005, some features might not work correctly. It’s working now. I forgot to go get the bitly after the post went live – thanks for catching that for me. thanks a million for your tipps on SSMS. This is great, thanks for posting these! Thanks Wayne for this series. I had seen much of it before but I still got so much out of the series. I found the posts on Regular Expressions, Comparing Query Plans, and Presenting with SSMS to be really useful and very, very informative. Thanks again for taking the time to create this series. Thanks Lee. It’s amazing to me when I do this presentation all the things that people say that they didn’t know that SSMS could do. That’s why I decided to do this series., and why it will continue. I’ve got to admit, you’re the king of SSMS usability. Thanks for putting this very convenient and use series together, Wayne. Thanks Jeff. What did you learn?